A new puppy in the home can be exciting for everyone in the family, especially children. If you are going to get a new puppy, it is important that you understand that it is not all fun and games. A puppy should not be adopted on a whim. You will have the puppy for its entire life. You have to be prepared for the training and work that goes into owning a puppy. A puppy can be a great addition to the family and many happy memories can be made with your puppy, but you have to be willing to put in the work. 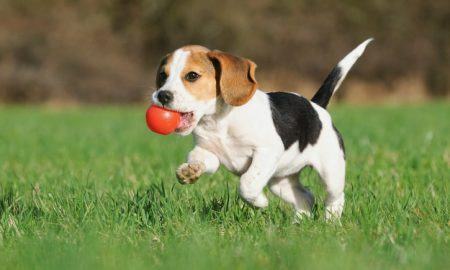 A puppy’s personality and temperament depend on two things. First, it depends on the breed of puppy that you choose and second, it depends on the way that he is raised. Breeds like German Shepherds, Rottweilers, Bull Dogs, and Boxers are all guard dogs, and they tend to be protective and loving. Border Collies and Bearded Collies are herding dogs and they were bred to work on farms. Because of this, they are full of energy and they rarely sit still. Since these dogs were bred to live on farms, they might be a bit skittish when it comes to loud noises. Labradors and Pointers are bred for hunting, therefore, they are full of energy and they can be a lot of fun. These descriptions are just how these breeds generally behave. Their personality also has a great deal to do with how your puppy will behave. Depending on how much time you devote to puppy training, it could be done in a matter of weeks. You won’t need to spend hours every day training your puppy. All it takes if a few minutes several times a day. It is important that you teach your puppy obedience and commands. Some things that they should understand are sit, stay, come, heel, and fetch. These are all basic commands that your puppy should learn to understand. As your puppy gets older, you can start treating him commands such as play dead, roll over, and give me your paw. When you start training your puppy, you should think of him as a blank sheet of paper, where you can write anything that you want. The way you train your puppy and the things that you teach him will stick with him forever. His early training will influence him throughout his whole life. Since training doesn’t go on forever, you need to spend a few minutes each day to remind him of what he has learned and to instill it in him. If you don’t put the time and effort into training your puppy, there could be serious consequences. Your cute little puppy can grow into a monster who uses your home as a toilet and your furniture as a chew toy. Puppies are like babies. They need to be taught right from wrong at an early age. Many people who train puppies, whether they do it professionally or not, use training products and aids to train, however, these aren’t absolutely necessary to train a dog. All you really need to have is dedication and the willingness to work hard. It can take several months to properly train a puppy, but when it is done, it will be well worth it. As long as you train your puppy for a few minutes each day, the lessons will stick with him. The last thing that you want is to slack off. Re-training an old dog can be more difficult than you know. If you’d like to expand your knowledge regarding dog training, don’t hesitate to visit http://www.buildgreatfarms.com/.